« Who Pays for the Hidden Costs of Coal? Today’s American nuclear power industry is in a state of upheaval. Four new, large-scale nuclear power plants are under construction in the United States, helped by large federal subsidies. All are being built by Westinghouse, and all have faced massive cost overruns and delays. Westinghouse’s parent company, Toshiba, recently posted a $6 billion loss due to Westinghouse’s nuclear woes. (For context, that loss is half a billion more than Toshiba spent to buy Westinghouse a decade ago.) Westinghouse filed for bankruptcy protection on March 29. Westinghouse’s bankruptcy shines a spotlight on nuclear power’s role as an electricity source – currently providing about 17 percent of our electricity in the U.S. – and raises issues concerning whether we can count on low-carbon electricity from nuclear power. The Energy Information Administration projects nuclear power’s share of electricity generation will decline slightly through 2040, but these projections don’t reflect current trends. Nuclear plants have long been very expensive to build, and the continued low price of natural gas has only increased cost pressure. Many nuclear plants are losing money, leading utilities to consider retiring them. Total nuclear capacity is declining, and will continue to decline in the near future as plant retirements exceed the capacity of Westinghouse’s Vogtle and Summer plants, expected to come online in 2019-2020. In states with retail competition (like New York, Illinois, and Ohio), nuclear plants compete against all other plants in regional auctions, which select power from the lowest-cost options. In recent years, lower-cost natural gas and renewable plants have sometimes displaced nuclear plants from the auction process. Nuclear plants were designed to run 24-7, so the plants cannot recover their costs when they’re unable to compete in the auctions. This leads to plant retirements and has led some utilities to seek subsidies to keep their plants afloat. Some states have developed “zero-emission credit” (ZEC) programs to subsidize nuclear plants that can’t compete on price. These programs pay a credit for power generated by nuclear reactors, based on the social cost of carbon, a calculation of the cost to society of each ton of carbon emitted from fossil fuel plants. As part of larger initiatives that advance energy efficiency and renewables, New York was the first state to adopt such a program in August 2016, followed by Illinois in December 2016. Pennsylvania, Ohio, Connecticut and New Jersey are deciding whether to adopt a ZEC program. One consequence of President Trump’s plans to roll back protections against carbon emissions is to undercut the application of the social cost of carbon. Certainly, ZEC programs benefit the nuclear companies. But if they are designed and implemented right, they can yield significant long-term environmental benefits. For example, ZEC programs in New York and Illinois prolonged the lives of nuclear plants, avoiding higher levels of carbon emissions from the natural gas plants that would have replaced them. Be holistic – Long-term carbon reduction must be a core strategy of ZEC programs. As such, a comprehensive ZEC approach should include grid modernization, energy efficiency, and peak demand reduction. During the next 20 years, nuclear power will produce less of our electricity, while natural gas and renewables will produce a greater share. The drivers for this trend are the low cost of natural gas and the steadily declining costs for renewables, coupled with federal and state policies that support renewables. Technology is a factor, too. The grid will integrate higher levels of renewables as more utilities modernize their grids. Grid modernization is important because it allows utilities to monitor and regulate the power flows on the grid from greater numbers of distributed energy resources, such as rooftop solar, energy efficiency, batteries, and electric vehicles. In sum, we may see more ZEC programs over the next few years and, as long as they are designed properly, this will be a prudent step and good for the environment. This entry was posted in Clean Energy, Illinois, New York, Utility Business Models. Bookmark the permalink. Both comments and trackbacks are currently closed. As one of EDF’s harshest critics on this topic, I will be the first to recognize the importance of your acknowledgment of nuclear energy here, and to hope it represents a change of policy at a non-profit with the resources to make a real difference in the fight against climate change. 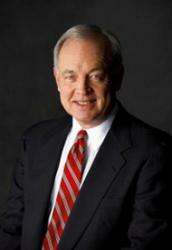 In recent years, President Fred Krupp has professed a “neutral” position on nuclear energy. That’s more confusing than anything: how is it possible for an environmental organization to have a neutral position on something with the potential to address the greatest environmental problem facing humankind? A source of energy endorsed by every leading climatologist, and credited by the Intergovernmental Panel on Climate Change with being essential to holding global temperatures to +2ºC by 2100? Being intimately involved with the fight to save Diablo Canyon Power Plant in California, there are details of what plagues nuclear energy with which I will take issue in future postings. Its supposed “challenging economics”, the necessity of a zero emissions credit, and the necessity of storage, efficiency, and other encumbrances of renewable energy are largely false flags. But for now your article is a first step, and a critically important one. 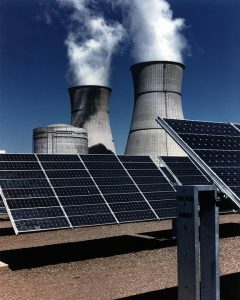 Nuclear power – its awesomely great for producing massive non-emitting electricity. For example, Diablo Canyon that PG&E is attempting to close, is equal to FIVE HOOVER DAMS. With all the hoopla about wind and solar, nuclear still makes 63% of America’s non-emitting electricity according to NEI. AND, there are only 61 nuclear power plants, out of a total of around 7,000 power plants nationwide producing that emission-free electricity. Nuclear could save life on the planet from the galloping increase of CO2 and heat that will eventually make it too hot for living creatures. America should be leading that charge worldwide. But let’s face it – saving earth is just too expensive, due to all the nuclear regulation. We can’t afford to save Mother Earth. Sorry Mom. Make that 7,000 power plants in the US with only 61 being nuclear. The 7,000 includes wind farms, solar installations, coal, natural gas and all other power plants. So nuclear with only 61 plants gives America about 2/3 of its CO2 free electricity. Thanks for your insights on nuclear power. We believe that many existing nuclear plants will continue to operate. When a plant is closed, we advocate that clean energy solutions be used to the extent practicable, as with the Diablo Canyon plant closure. Diablo Canyon has been delivering carbon-free electricity to California customers for more than 30 years. During that time however, the state’s electricity sector has seen tremendous transformation in front of and behind the meter. California is now powering at least 25% of homes with renewable resources, and maintains some of the lowest electricity per capita rates due in part to smart policies around energy efficiency. But to achieve our goal of 50% renewables and beyond, we must focus on clean energy resources that allow for the cost-effective, flexible integration of our abundant clean energy resources – strategies and tools like time of use pricing, demand response, and energy storage. PG&E has proposed to replace Diablo canyon’s output over the remaining period of the plant’s license (through 2025) with carbon-free resources that will ensure that our state’s essential climate and energy goals remain on track and that clean, reliable and affordable power is maintained for all Californians. EDF supports this vision, and are encouraging that the plan also include more time of use pricing, demand response resources, and other clean, cost-competitive resources procured through wholesale markets and incentivized with time-variant retail rates and other utility programs. Demand response is a carbon free and cost competitive resource that is at the top of California’s loading order and should be an important element in the measured replacement of Diablo Canyon with a full, comprehensive portfolio of clean energy. Additionally, small modular nuclear plants may emerge as another solution. NuScale Power is seeking NRC approval for a small nuclear reactor. Nuclear is the WINNER on COST!! Split DON’T EMIT! The state of California failed to consider clean energy options in replacing power once supplied by the San Onofre Nuclear Generating Station are falling on deaf ears, as utility regulators and the state’s top court rejects appeals from local and national environmental groups. The complaints are centered around power supplies to the San Diego area, which once relied on San Onofre for 20 percent of its electricity, and two gas-fired power plants that have been embraced as early substitutes. James Hansen == COP21 a Fraud! Why I don’t support EDF. Split DON’T Emit! Will the Paris accord change our climate outlook? Will the historic global climate accord lead to historic results? Judy Woodruff gets reaction from Robert Bryce of the Manhattan Institute and Fred Krupp of the Environmental Defense Fund. Go nuclear or go extinct. Simple as that.